Live performances on two different stages! Handmade Art and Craft Creations! 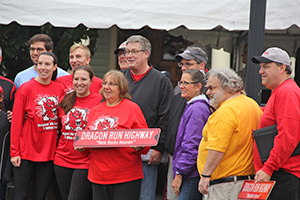 Run, walk, or watch the 13th Annual Dragon Run 5k (benefits the Nathaniel Boerlin Scholarship Fund). The Dragon 5k is a USA Track and Field Certified Course! For more information please visit www.naterocksheaven.org. Live entertainment + fantastic food + FREE activities for the kids + thousands of your friends and neighbors= SWEDESBORO WOOLWICH DAY 2019! Please contact us at swedesboroday@gmail.com if you have questions or need more details. Swedesboro Woolwich Day Committee, Inc.